Mangoes are probably one of the world’s most-loved fruits. They’re totally delicious not to mention packed with nutritional goodness. Some of the healthy benefits found in mangoes mixed with baby food include the protection of the baby’s eyesight, boosting of the immune system to help combat infections, improvement in the brain development and a lot more. Why feed mango to your baby? Introduce mangoes to your baby’s food because of its high nutritional value. It contains a lot of good components that can help your baby in developing a strong mind and body. 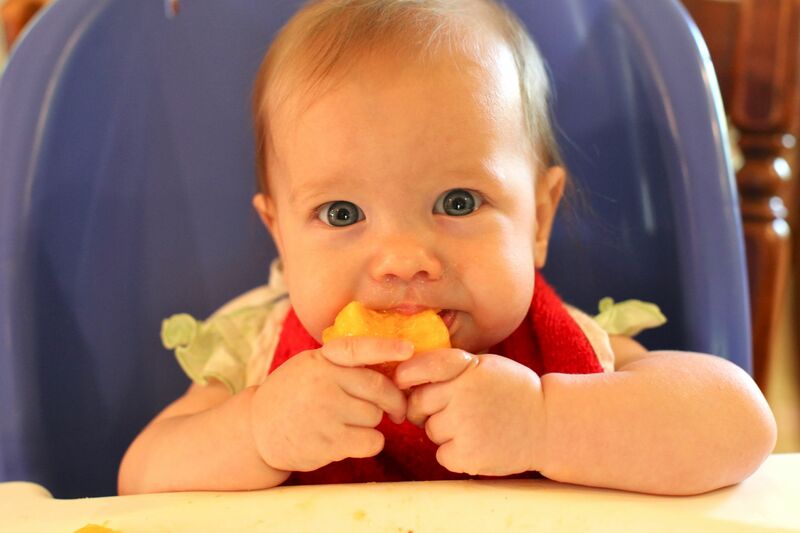 Mangoes are loaded with vitamins and minerals that are essential in your baby’s growth. What are the health benefits of mangoes to your baby? Mangoes are easy to digest: Pureed mango is readily digestible. Feeding this to your baby will not result to an upset stomach. In fact, mangoes contain enzymes and biochemicals that promote good digestion. Mangoes are good for the eyesight: An infant’s eyesight is not as developed as an adult human. Their eyesight gets developed overtime as they grow. A good supply of vitamin A can help boos that process. Ripe mangoes can be an excellent source of vitamin A.
Mangoes improve the immune system: Infants are prone to having weak immune systems as theirs are not fully developed yet. Because of that, they can be susceptible to infections and diseases. The beta carotene content of mangoes are great in improving the immune systems of children. Mangoes help fight infections: Weak immunity may lead to the development of certain illnesses. The nutrients in mangoes are proven great in battling common infections like colds, cough sinusitis, rhinitis and such. Mangoes enable brain development: Previous studies have shown that mangoes can help initiate and improve certain brain processes. The vitamin B6 content of mangoes helps in this area, plus the glutamine acids in mangoes can help in improving memory and concentration. Age: Only start feeding mangoes to babies over 6 months of age and to those who have been already exposed to solid or semi-solid foods. Texture of the fruit: Only feed mashed up mangoes to your baby. No fibers please, as it will make swallowing difficult for your baby. Do not feed them an un-ripe mango; they can be too sour for your baby and can be indigestible to many babies. Always check first for food allergies before proceeding with the feeding.